Why do we need financial education? Every day, Debt Advice Foundation advises people who are struggling with debt, that have fallen prey to financial fraud, been overcharged for financial services or have been sold products and policies they don’t need. Personal finances are not simple – managing a family budget is like running a small company. You have to take it seriously, set aside time every month to check that you are still in control. DebtAware believes that if children start learning the basics at an early age, they will be confident about managing money as they grow up. If they understand why it makes sense to save for things you want but don’t need, what borrowing means, how credit works and the risks involved, they are less likely to fall into serious debt. And we think that will benefit everyone. 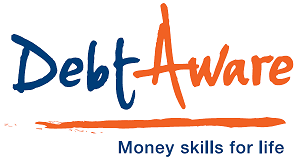 DebtAware is part of Debt Advice Foundation, a registered debt charity (1148498). Company limited by guarantee (08039416). Licensed by the Financial Conduct Authority (no. 692492). Registered charity in England and Wales (1148498). Company limited by guarantee (08039416). Registered office address: 1 Anchor Court, Commercial Road, Darwen, Lancashire, BB3 ODB.